Sorensen’s return comes a year later than expected. In the spring of 2016 – just as he was preparing to start rehearsals – he was diagnosed with an aggressive throat cancer and elected to undergo treatment that could damage his vocal chords and take him off the stage forever. 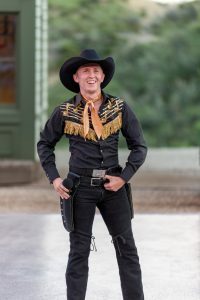 In what could be called a touch of the “Medora Miracle,” Sorensen’s months-long treatment went extremely well and, today, he is preparing to return to the stage of the Medora Musical once more. Sorensen, looking toward the season comments, “You know, looking at the whole situation, and thinking of this summer, I’m happy to have another chance to hit the stage with the whole cast, to perform in front of 100, maybe 120,000 people, and this year, to get to do it with a bunch of really, really talented performers from right here in North Dakota. 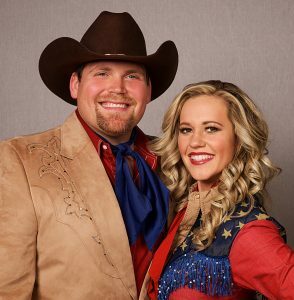 Two of the newest North Dakotans to join the cast are Taylor Leet, of Bismarck, and Alyssa Scott, a Fargo native. Leet, who completed her BA in Vocal Performance at Columbia College in Chicago before returning home, comments about her first year in the show, “I am thrilled to be part of the Medora Musical this year! After years of attending the musical, I look forward to finally being on stage doing what I love. 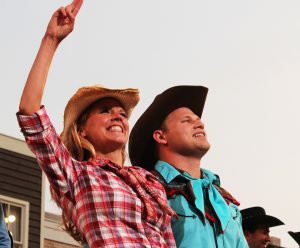 Scott, from her base in the Twin Cities where she has been working as a musician for the last several years, echoes the excitement, “I’m beyond excited to be a part of the Medora Musical this year! It’s a childhood dream of mine, and thinking about the rehearsals starting gets me anxious and nervous at the same time. Scott, Leet, and Sorensen join fellow North Dakotans Damon Fichter, of Dickinson; Misti Koop, of Grand Forks; and Zach Schmidtz, of Bismarck; plus, Indiana native but student at Dickinson State University, Klayton Hinshaw. In addition to many new cast members, from North Dakota and across the country, a number of veteran professionals will return in 2017. The ever animated, Ken Quiricone, and vocal powerhouse, Candice Lively-Wollan, return this year in leading roles. 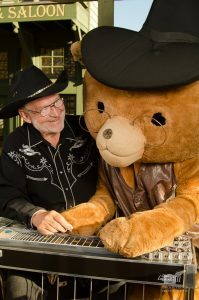 British pedal steel guitar player, Roger Rettig, returns this year as well. Bill gives him a lot of grief, but Roger Rettig is one of the BEST pedal steel guitar players in the world, and we’re proud to have him on the cast. Bill and Roger’s on-stage antics are sure to continue this summer. 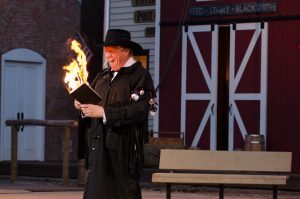 Over one thousand performers auditioned at locations in North Dakota, Minnesota, and Tennessee. The 2017 Medora Musical Variety Acts will be announced in the coming weeks.